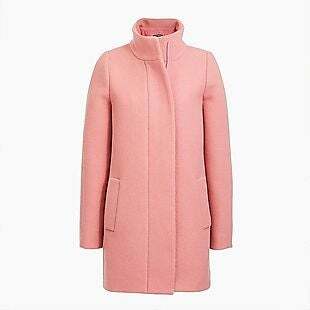 This women’s City Coat drops from $228 to $49.99 when you add code QUICK at checkout at J.Crew Factory. You’ll also get free shipping when you sign up for or log into a free J.Crew Rewards account. Otherwise, shipping adds $5. It’s in stock in the pictured Fresh Rose color, but limited sizes also come in six other colors at this price. Use the code to get the same deal on the Vail Parka, Belted Wrap Coat, and Boiled Wool Topcoat.